Pros: Great looking scope. Robust magnesium alloy, rubber armoured body feels light and very tough. Wide field of view is exceptionally bright, sharp and detailed right to the edge of the field. Superb performance throughout the zoom range. Excellent ergonomics. Centre-ring focus dial quick, easy and accurate. Compact and easy to handle for a full size spotting scope. Cons: Very little to criticise here. Focus ring and eyepiece zoom dial perhaps a little on the stiff side (may ease up with use). Would be handy if eyepiece lens cover could be tethered to the eyepiece (easy to lose). Price: GB£1,899 (c.€2,025) body + 30-60x Wide Angle eyepiece (20-70x high power eyepiece also available). 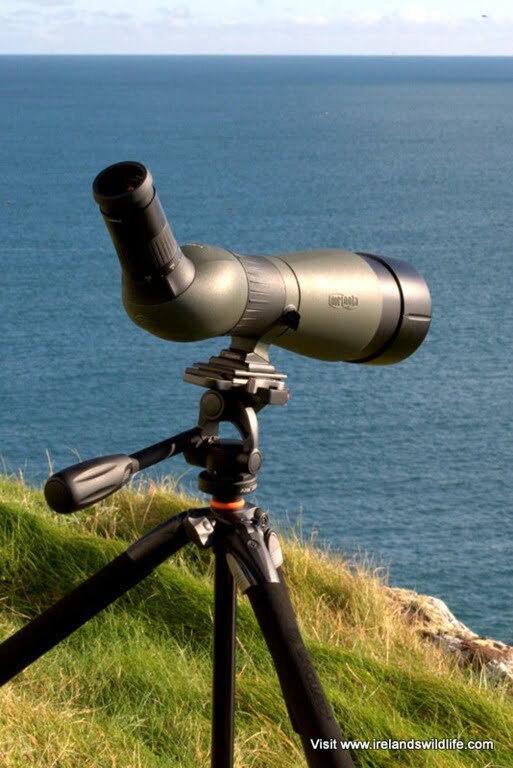 View the Meopta MeoStar S2 82 APO Spotting Scope on the Meopta Sports Optics website. Meopta is a Czech sports optics company that has been producing high quality spotting scopes and binoculars for many years. With the S2 they raise the bar on their scope line-up to produce an instrument that competes with the very best in terms of performance, but at a significantly lower price point. If you’re in the market for a new top-flight spotting scope, your choice just got a whole lot more interesting. Take a look through a Meopta S2 before making your decision. Meopta has been creating high quality optics in the Czech republic for more than 77 years. 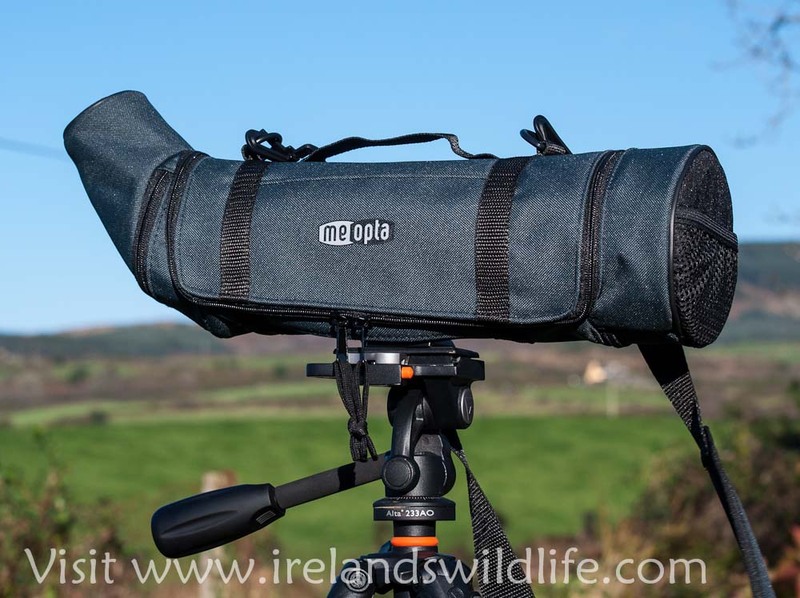 They may not be as well known in Ireland and the UK as leading premium optics brands, but a quick trawl of online forums reveals that those who have used Meopta products rate them very highly indeed. With the release of the brand new MeoStar S2 spotting scope Meopta is aiming its sights squarely at the upper echelons of the premium scope market. Going head to head with flagship scopes from brands like Swarovski, Leica, Zeiss and Kowa is a tall order. That said the Meopta S2 sports a host of premium features that match the very best in the industry at a price point that’s significantly lower. The first thing that struck me when I opened the packaging and saw the S2 Spotting scope was how compact and manageable it looked for an 82mm scope. It’s not a whole lot bigger than some 65mm scopes I’ve used. The second thing was how good it looked. The body is covered in a hard, dull-green rubber armour that contrasts nicely with the black detailing to accentuate the scopes sleek, modern lines. Somehow it manages to look tough and robust, yet elegant and refined at the same time. It’s a neat trick! When you pick it up it the S2 has the reassuring heft you’d expect from a high quality optical instrument – no lightweight inferior optics in this baby – but it’s by no means heavy for a high-end large objective spotting scope. The use of magnesium alloy in the housing, and its compact design keep the weight to a very manageable 1.4 Kg without the eyepiece… and just over 1.75 Kg with the superb 30-60x Wide Angle eyepiece attached. The scope attaches to any tripod via a low-profile mounting plate and a lockable rotating collar that lets you twist the scope body through 360 degrees – a neat feature that makes for more comfortable viewing from a hide or using a car-window clamp. An interesting feature is that the mounting plate itself is designed to fit any Manfrotto-style quick-release tripod head without the need for an additional mounting shoe… the S2 simply slots directly onto the head and clicks into place. For other tripod/head types you’ll find a standard screw thread on the underside of the S2 mounting plate for attaching the scope. The mounting plate is well placed near the scope’s centre of gravity, so once attached to the tripod the Meopta S2 feels very well balanced and stable. Naturally the handling handling experience will depends a lot on your personal choice of tripod and head. I used the S2 on both a Manfrotto pistol grip ball head and a Vanguard fluid pan-head for this review and found it a joy to use on both of them. As far as the scope itself goes everything you need is easily accessible. The flared, collar-style focus ring on the scope body — dubbed “CentricDrive” by Meopta — is large and easy to find without looking, it offers plenty of grip and turns smoothly and easily. and it handles as you’d expect a premium scope to. So the Meopta S2 looks and feels great on the outside but it’s the view through the scope that’s the most impressive part of this package. Fitted with the brand new Meopta 30-60x wide angle zoom eyepiece the S2 delivered an astonishingly bright, pin sharp image across an impressively wide field of view at 30x (44m / 1000m) with none of that “looking through a tunnel” effect you get with less accomplished zooms. What’s particularly impressive here though is how that bright, clear image and wide field of view persists as you crank up the zoom. Moving up to 40x, 50x all the way up to 60x (21 m/1000 m) the scope delivers a consistently wide, bright, high resolution view. In fact this excellent eyepiece manages to retain a super-wide 66 degree apparent field of view right the way through its zoom range — matching or beating the very best in the industry. There is some inevitable decrease in brightness as you approach the highest magnification, but its nowhere near as pronounced as I was expecting, and the exceptional edge-to-edge sharpness remain, as does the stunning detail, contrast, and colour rendition. The Meopta S2 82 delivers top drawer performance on every level. It’s so good, in fact, that every now and again I’d grab the scope and scan for birds at 60x without realising at first that the scope was zoomed in. To achieve that high-end performance Meopta packs a lot of optical technology into the S2. All air-to-glass surfaces in the optical system are fully multi-coated with Meopta’s proprietary ion-assisted “MeoBright 5501” coatings. According to Meopta these coatings “eliminate glare and reflections, and deliver an industry leading 99.8% light transmission per lens surface”. Couple that with apochromatic (APO) fluorite glass in the objective lens elements to eliminate chromatic aberration, enhance contrast and improve colour fidelity and you have an optical system with impressive credentials. I don’t know how all this optical jiggery-pokery works, and to be honest I don’t need to. I just need to know that it works… and looking through the S2 it becomes obvious that, in this case at least, it genuinely does. Meopta has also applied its MeoShield and MeoDrop coatings to all external lens surfaces. MeoShield is a tough, ion-assisted armour coating on the outer surface of the lens that is resistant to scratches and abrasion. According to Meopta it “meets military specifications for durability and surface hardness”. MeoDrop is a hydrophobic coating designed to repels water, grease and oil causing rain and moisture to bead and roll off the lens surface, and making smudges and fingerprints easy to wipe off without smudging or excessive polishing. These match the modern equivalents applied by all of the top-flight scope manufacturers, and again show that with the S2 Meopta is gunning for the Best-of-the-Best. I tested the S2 in a wide variety of conditions and it delivered time and again, with stunningly detailed wide angle images in all sorts of challenging light. Picking out backlit waders on estuarine mud flats, watching for cetaceans and sea birds from a local headland against the sun’s glare, scanning distant hillsides in the murky twilight. No matter the conditions, the S2 coped with the countless vagaries of Irish autumn light with accomplished aplomb. Focus via the comfortable “CentricDrive” ring was quick, smooth and accurate, but perhaps with a little more resistance than on some scopes I’ve used. The zoom too felt a little bit stiff, and you had to be a careful not to “twist” the scope off-target if you tried to zoom quickly. Both of these issues could well ease with extended use, and are more observations than genuine criticisms. You soon get used to it, and simply enjoy the outstanding optical performance on offer. Another area where the Meopta S2 excels is in fading light. At twilight, or on really dull days (which, lets face it, there’s no shortage of here in Ireland) the large 82mm fluorite objective and proprietary coatings drag in every scrap of available light to deliver a bright and more than usable image even in poor conditions. To be honest I wasn’t expecting to be able to use the full extent of the zoom range as light faded, but was amazed as I cranked it up to 60x to reveal exquisite plumage detail in heavily backlit starlings roosting some distance away. Again, a very impressive performance in challenging conditions. The S2 is, as you’d expect, fully waterproof and fogproof (nitrogen purged) making it impervious to the elements and, crucially, to dust and dirt. The bayonet fitting eyepiece is also o-ring sealed, ensuring no water or dust ingress at that point. Of course the MeoDrop hydrophobic coating comes into play in wet weather, making the scope perfectly usable in very wet conditions. While I wasn’t particularly hard on the scope, I did use it for an extended period in a wide range of field conditions. It still looks and feels brand new… and there’s no reason to doubt that the magnesium alloy body, tough rubber armour and excellent build quality will continue to offer a lifetime of service. Meopta certainly believe in the longevity of their products… offering a 30 year transferable warranty with the S2 82 HD in Europe (a significant step up from the warranty offered by most high-end optics manufacturers today) and a transferable lifetime warranty in the US (which seems to be a common trend in the American market). Meopta offers two eyepieces designed specifically for the S2 scope… the 30-60 WA covered in the review above, and the 20-70x high power eyepiece. Performance wise the higher magnification eyepiece matches the 30-60 in terms of its optical quality, where it differs significantly is in its field of view, with an apparent FOV of 45 degrees at 20x and 63 degrees at 70x — so the subjective field of view shifts as you move up through the zoom range (which is what you generally expect with zoom eyepieces). There’s a bit more of the “tunnel” effect at lower zoom levels with this eyepiece than you get with the 30-60 WA, but optically its on a par, delivering a superbly bright, edge-to-edge sharp image through most of the zoom range. There is noticeable darkening as you head towards 70x, but the view is still very usable, with impressive clarity and detail, and a pretty decent field of view given the level of magnification. For me, the 30-60x WA has pretty much everything covered, but if you feel you might need that extra bit of “reach” the 20-70 is also a superb eyepiece. Meopta also offers an adapter that converts its S1 scope eyepiece range for use on the S2 — a range which includes a 20-60 zoom and a 30x fixed wide angle offering. However, the zoom can’t match the specs of the newer S2 zoom eyepieces, and the 30x wide angle has a narrower field of view than the 30-60x WA S2 eyepiece at 30x — making it somewhat academic unless you already own Meopta S1 eyepieces. One thing that is worth a mention is that it would be useful if the eyepiece cover could be tethered to the eyepiece body somehow — as it is the eyepiece cover can get dislodged easily as you transport your scope, and it won’t be too long before it gets lost. Meopta offers an innovative iPhone digiscoping adaptor called the MeoPix that allows you to take photographs and video through your scope using your iPhone 4/4S. Unfortunately I don’t own an iPhone 4 / 4S, so I couldn’t test the sample I was sent out, but it certainly looks like a neat piece of kit. You simply slide your iPhone into the plastic holder, fit the adapter to the scope eyepiece and “bingo” — high quality digiscoped photos and video from your phone. The MeoPix costs GB£49 and is available for online order from the UK Meopta stockists listed above. There’s also a dedicated digital camera adapter available for attaching your SLR to your scope for more serious digiscoping — but it’s designed to fit the S1 series scopes, so you’ll need the S1-S2 eyepiece adapter along with a T-Mount for your particular camera model to make it fit. The stay on case is a very smart looking green-blue padded cordura affair that protects the scope and comes with a really nice padded carrying strap. It attaches easily, but employs a somewhat unorthodox design for accessing and using the scope. Instead of separate zippers / fasteners to open up the objective and eyepiece ends, as you’d expect, the Meopta case employs a single dual zipper that extends the length of the scope. At first it took a bit of working out — you have to pretty much undo the entire case to release the eyepiece and objective covers. That means when in use the scope is either “covered” by the loose flap of padded fabric giving access to the focus ring on the right side of the scope only, or, if you want full access to the focus ring, having the scope body completely exposed to the elements. Of course the scope itself is “element”-proof — but that kind of negates the whole point of a stay-on case. The case is excellent for protecting the S2 in transit, and the padded strap is fantastic for carrying it about — but it doesn’t really offer very much in the way of protection and convenience when it comes to actually using your scope. It just hangs there, flapping annoyingly in the wind and making the view through the scope unstable. I can’t help thinking Meopta would been much better off sticking to a more conventional design, with separate quick-access openings at either end, and some sort of velcro openings on either side to allow easy access to the centre focus ring. As it stands the design is fine as a case for storing and transporting your scope safely… but when actually using it I think I’d remove the case completely and leave it in the car. The Meopta MeoStar S2 82 HD is an outstanding spotting scope that performs as well as any scope I’ve ever had the pleasure of looking through. If you set aside the “brand blindness” that often narrows selection at the top end of the scope market, and assess the S2 purely on the merit of its optical performance and build quality, it’s up there with the very best. Meopta has a real contender on its hands with this scope — if you’re shopping for a premium spotting scope then I’d highly recommend trying one for yourself if you get the chance. 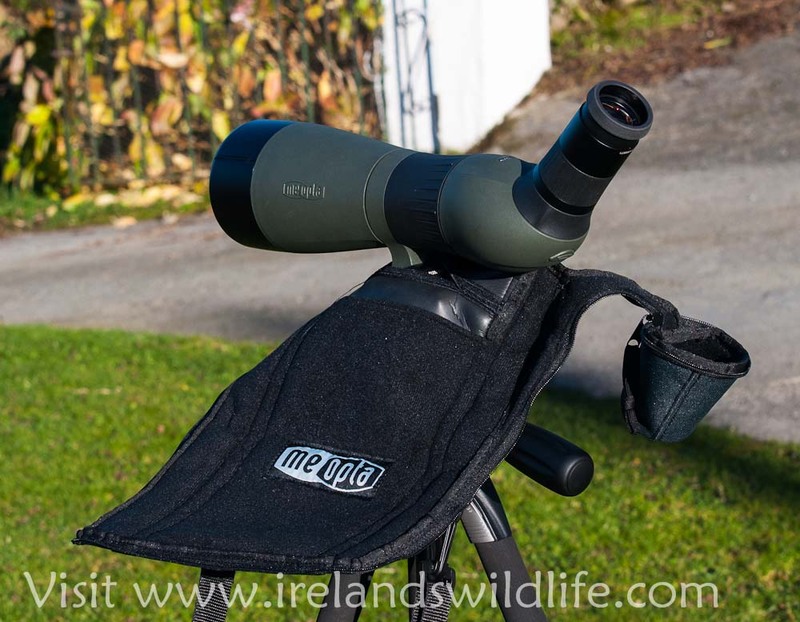 I’d like to thank Meopta for submitting the S2 82 HD for review on Ireland’s Wildlife. 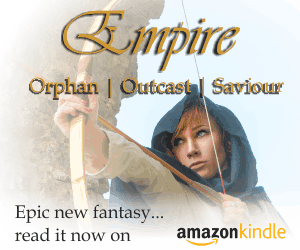 Great review of what looks like an excellent scope. It is a shame you were not able to test out the MeoPix adapter – it is one of the reasons I really would consider getting a Meopta, although I now see that Kowa have also brought out a similar adapter for the iPhone. It is an outstanding scope Jason. One I’d be delighted to own, and the 30-60x wide angle eyepiece is particularly impressive. Yes it’s a shame about the MeoPix adapter… would have been great to try it out. I may get a loan of an iPhone 4 while I still have the scope… if I manage to I’ll post a few belated pics to the review. Am very interested in purchasing an S2, but would like to have a look thru one before I splash out. Anybody know anyone that has one in Ireland? I use one as my main scope. I’m based down in West Cork though… bit of a hike from Westport. It’s a cracking scope. I’d put it alongside top tier scopes from the big three without hesitation. Thanks Calvin, unfortunately I won’t be down that way ’til June for a cycle from Mizen to Malin…… A leap of faith might be in the offering. Though I know Moepta from their rifle scopes, which were excelent, tough and able to handle a lot of messing about. I’d heartily recommend the Meopta — you can’t equal it without spending a whole heap more money… and even then you’d be hard pressed.